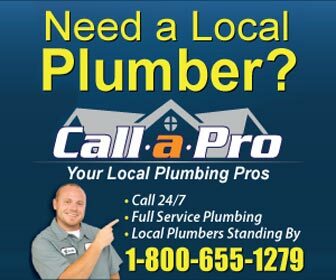 Find plumbers in Warwick, RI for all of your plumbing project and plumbing emergency needs. From water heater repair and drain cleaning in Warwick to emergency sewer repair and water leak detection - find the right, licensed Warwick plumber for the job. The city of Warwick was founded in 1642 by Samuel Gorton. It is located a few miles south of the state capital of Providence. The most amazing part of the history of the city is at the beginning of the revolutionary war. Forget about Lexington, Concord and Paul Revere's ride. On the ninth of June in the year 1772 as many as seventy Rhode Islander’s attacked His Majesty’s ship GASPEE. The captain was shot (not fatally) and the ship, which had run aground, was burned. Each year there is a Gaspee Day in the city to celebrate the occasion. Today Warwick is a city with a population in excess of 85,000 and a median family income in excess of $65,000.00. It is the second largest city in Rhode Island. When people fly to Rhode Island their luggage tag says PVD to indicate Providence but the airport is in Warwick. The former Hillsgrove State Airport opened in 1931 and was the first airport to be state-owned. T.F. Green airport, as it is called today, has about 200 flights per day and the total number of passengers served is over 4.5 million (in a state that has a population of about 1 million). When you visit Rhode Island you have to go to Iggy’s and try the fish & chips. It is located at Oakland Beach which is part of the 39 miles of coastline the city has along Narragansett Bay. All in all Warwick is a nice place to live and work. I know since I have done just that for the past 30 years.